Thursday, February 18th from 2-3 pm PST. Click here to sign up! Want to run your business faster, smarter and more profitably? What’s stopping you? You use a computer. You’ve got a smartphone, laptop, and maybe a tablet. You’re even using an accounting package like QuickBooks to help track payables, receivables, and estimate taxes. So it’s clear you’re not entirely afraid of technology…you’re just not using it to run the rest of your business. Big mistake! You’re a contractor. You run a business. How you run your business matters. Whether you do commercial construction, residential contracting, sub or service work, you juggle a lot of moving parts just to keep the doors open and your teams running smoothly. You’ve got to find the work, estimate spot-on to win the work, do the work, bill the work, and still make money. No one likes to leave money on the table. It’s stressful. You’ve got to plan every job carefully, itemize material budgets, schedule crews and then take all that data and create a bid attractive to that customer. Win the bid and you’ve got even more “paperwork.” You’ve got to generate contracts, get them to the customer for signature, create service orders, schedule teams and materials, and so on. Every job. Every day. Are you running your business like it’s still the ’80s? Maybe. Or maybe you’ve thrown out your paper ledgers and stepped up to an accounting software package like QuickBooks, which is great when it’s used to its fullest. But even QuickBooks can’t manage your day to day operations. It can do payroll. It can help you invoice. It can even remind you to pay your taxes. But…it cannot help you automate your company’s estimating/bidding process. It can’t help you manage projects, people, and workflow in the field or at your desk. Neither can Excel spreadsheets! Click here to learn what can! 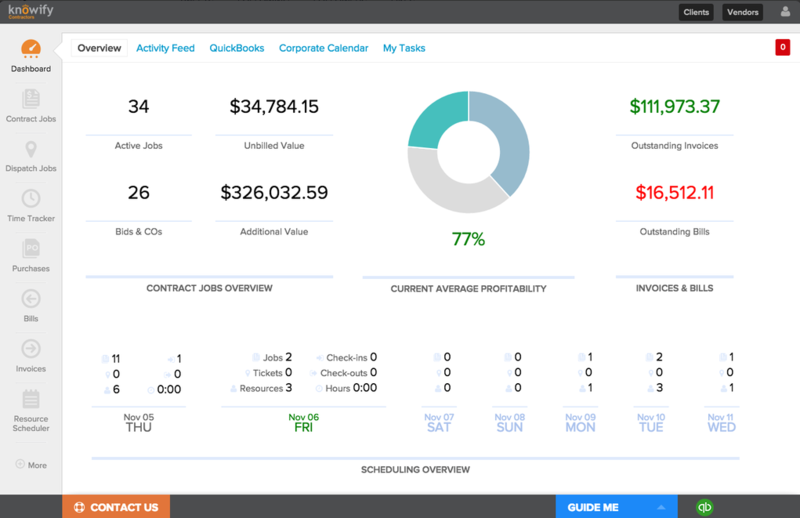 QBPro Consulting is partnering with Knowify for Contractors, the most cost-effective, complete business management solution for contractors to help you meet your profit goals. Join us on Thursday, February 18th at 2 pm for a FREE webinar just for general contractors, specialty contractors, and subs. Join Dan de Roulet, Knowify’s founder and CPA Rick Armstrong, a QuickBooks Advanced Certified ProAdvisor for a deep dive into how to use technology better to maximize the ROI of your business efforts. Learn how this one-two combo knockout of Knowify + QuickBooks helps contractors like you master and manage your business. Take action now. Sign up for the FREE QBPro Consulting + Knowify webinar! Knowify and QuickBooks Online – Today’s Ideal Contractor Business Solution! Are you a Blackberry, a Galaxy, or an Apple? Be a Scout. Be prepared! – Remain ahead of the curve, as the market continues to experience perpetual change and disruption. – Analytical skills – Make a point of anticipating trends in the market and changes customer behavior. If your residential contracting client, for example, is giving his team leaders smart devices/pads, think about what financial and/or business management solutions you can offer to help them run their businesses smarter. – An adaptive mindset – Be flexible. See change in your markets and adapt your go-to-market and client service strategy accordingly. According to Root, this often involved lateral thinking about how they could leverage change to grow outside of their traditional core businesses. – Agility – Be responsive. See what’s happening and make the right acquisitions and investment in your organization or practice to take advantage of “ripening” market opportunities. Knowify is one such solution that can help QuickBooks Pro Advisers keep the playing field level. We’re already helping accountants and QuickBooks Pro Advisors bring powerful project management and automation tools to their construction contractor clients. This not only brings big value to their clients, but also big value to the advisor – client relationship. If you have any questions or wish to share your feedback, you can find us at support@knowify.com. Adding new client services will be many accounting firm’s top innovation priority this year, according to the newly-published CPA.com Innovation in Public Accounting Survey. Nearly all firms responding say they want stickier relationships with clients and prospects and hope to do so by adding new services. Moreover, those firms, which already have moved to cloud-based technology (many with 100 staffers or more), report feeling great urgency to keep moving the innovation/value-add needle forward. – General responders — representing 231 firms. CPA.com defines Early Majority firms as those which either have launched a cloud-based accounting practice or made advancements in adding client advisory services. Many Early Majority firms skewed larger (20% were firms with 100 or more staffers), while only 10% of the General category respondents were at firms with 100+ staff. Time and talent issues were reported as the biggest barriers to innovation. Early Majority respondents may be more likely to have a strategy in place, but struggle to work out the processes necessary to execute that strategy. General respondents report they struggle with strategy, possibly because they are not as far along in their innovation processes. Either way, only a small number of firms worry about keeping up with their competition. Few feel pressed to respond to a “competitor who is outpacing us.” Nor do they seem concerned that tomorrow’s competitor, invisible today, might be “in their face” tomorrow. The concern is that by not paying attention to their markets and changing client expectations, these firms may become victims of surprise themselves. An off-quoted reason many clients change firms is the unexpected gift of a year-end surprise, or an “oops” uncovered when they review their tax returns to discover they suddenly seem to owe the IRS a sizeable chunk. Clients hate surprises, and so should you! Be prepared. Even when you are knee deep in tax season, think ahead. What products or services could you be introducing to your clients post March or April 15th that would improve the way they do business? Be a hero! Solidify your relationships. That’s where value-added offerings like Knowify’s powerful project management and automation tools ensure your clients operate and manage their businesses more efficiently. And efficient clients are happy clients — happy with their business ops and happy with you. Deliver more bang for your clients’ buck. 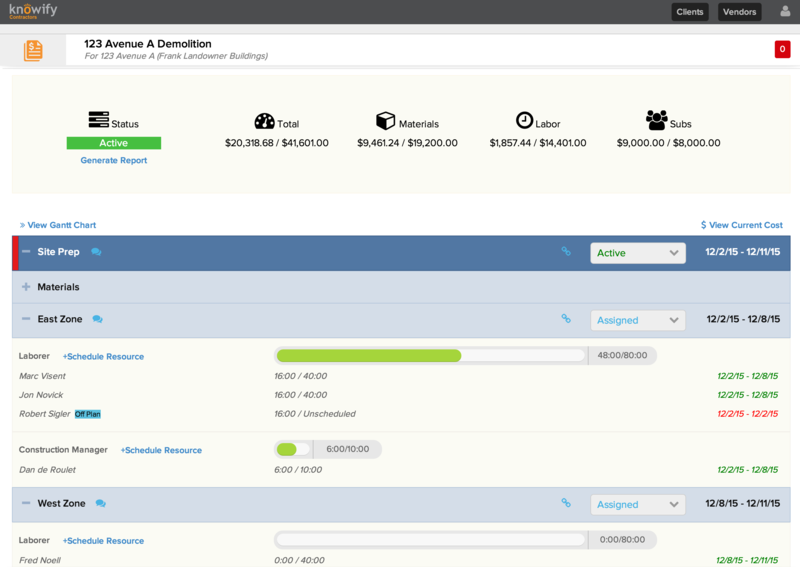 Knowify, which conveniently integrates smoothly with QuickBooks and other accounting packages, brings more value to you and to your advisor/client relationship. Writing in a recent Intuit QuickBooks Pro Advisor blog “From The Experts,” Edward Castano, vice president of marketing for the factoring company BlueVine Capital, Inc., urged accountants to look beyond their standard accounting and tax services to better serve their clients. He should be talking to QuickBook Pro Advisors too. Quoting an L. Harris Partners survey on customer satisfaction, he reported that nearly one in three clients (32%) say they use multiple CPA services. This may be, in part, because clients often separate the services their accountants provide them into separate silos, or because the accounting firm may not do an adequate job of promoting a broader swath of service offerings, or because the multi-service firm neglects to cross-sell. Not looking at a client’s big picture is a big mistake. “There are tremendous gains to be hand for your practice and your clients,” Castano says, “by becoming a one-stop shop. A survey by B2B CFO reports that more than one-third of companies believe they are undervalued, while nearly one-fifth (17 percent) claim to not know their company’s worth. Pick up the slack. Provide an objective, defensible valuation opinion to clients seeking financing; planning a sale, merger, or acquisition, bankruptcy, or to settle business disputes. If you are really doing your job, chances are, you’ve weaned your clients away from paper ledgers and spreadsheets onto a desktop or cloud-based accounting package like QuickBooks. But like tax and audit, that only addresses a portion of your clients’ business management challenges. Missing links are tools that support client’s business management beyond a straightforward P&L statement, or accounts receivable report. If you are not helping clients run their entire business more efficiently and cost-effectively, you have to ask yourself, why not? And you better ask yourself that question and come up with an answer before your competition gets in the door and shows your clients what they are missing. “Like your clients,” Castano says, “you can benefit substantially from evaluating and pursuing new sources of revenue for your business. Diversifying and expanding your services is a win-win for you and your clients.” The products and services are out there and vendors looking to support you…you just have to open your eyes. If you are really doing your job, chances are, you’ve weaned your clients away from paper ledgers and spreadsheets onto a desktop or cloud-based accounting package like QuickBooks. But like tax and audit, that only addresses a portion of your clients’ business management challenges. Missing links are tools that support client’s business management beyond a straightforward P&L statement, or accounts receivable report. If you are not helping clients run their entire business more efficiently and cost-effectively, you have to ask yourself, why not? And you better ask yourself that question and come up with an answer before your competition gets in the door and shows your clients what they are missing. Do your research. Knowify, for one, can help. We’re already helping accountants and QuickBooks Pro Advisors bring powerful project management and automation tools to their construction contractor clients. This not only brings big value to their clients, but also big value to the advisor – client relationship.If you have any questions or wish to share your feedback, you can find us at support@knowify.com. The key to efficient project management in construction is people. So wrote Philip Greer, a product manager at Trimble Buildings in a recent article in Construction Business Owner. Good project managers tend to run good teams which produce good results. Imagine you could access every aspect of every project’s lifecycle — from bid, costing, and estimate to execution, oversight, and invoice. As a business owner or advisor, the ability to have transparency and visibility of what is going on at a job site (or company-wide) at any given time can be very powerful information. The workers assigned to each site showed up? And if they did, how long did they work? Did they have the materials they needed? – Is the project on schedule? Teams working with clipboard headcounts and calculators are insufficiently efficient. Running an estimating or purchasing function on spreadsheets is no better. With so many contractors and subcontractors already running their bookkeeping functions on QuickBooks or other software or cloud-based packages, selecting the right business management and project management technology would seem to be a logical extension of good business practices. So how do you get there? Do your research. Knowify, for one, can help. We’re already helping contractors integrate their business management needs with their accounting systems from an easy-to-use interface accessible from any device — in the field and in the office. If you have any questions or wish to share your feedback, you can find us at support@knowify.com. We pushed a small release earlier today with a few widely requested improvements. 1. 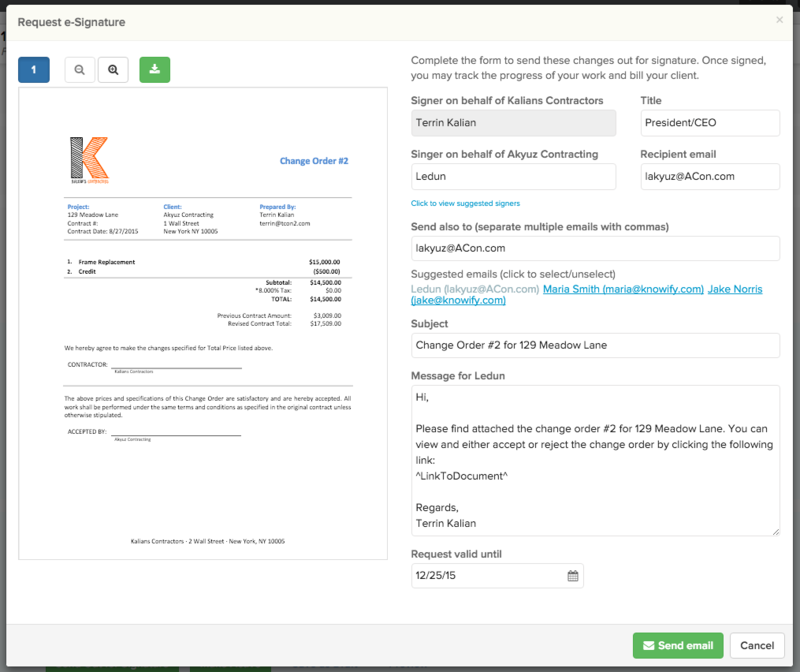 We’ve made it much easier to select from among your contacts when creating proposal, change order, invoice, and service ticket emails.You will also have much more control over the formatting of proposal and change order emails in the new interface. 2. 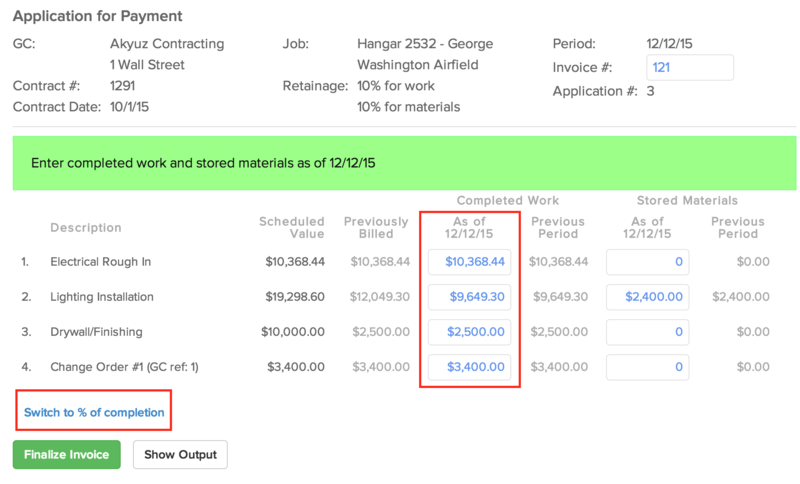 You can now (optionally) enter specific dollar values to invoice for your line items when creating AIA-style applications for payment. 3. You can now revert change orders back to the draft state if you accidentally make them “active”. This is also true for jobs: you can revert closed jobs back to live, if needed. We would encourage you to close out old jobs – it can speed up your Knowify experience, especially if you have many open but inactive jobs. 4. Change order approved-on dates can now be set manually. 5. 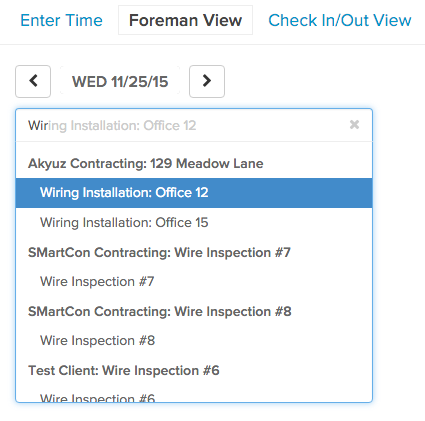 We have improved the foreman’s view so that all your jobs are sorted by name and you can search among them. This will simplify the process of entering time for all your resources, especially if you do not use our scheduling features. We have another small release planned for a few weeks from now that will address reporting and performance enhancements in certain modules. A recent article in Accounting Today looked at how some accounting firms are adding payroll services to bring added value to their clients while also distinguishing themselves from their competition. The article also noted that as “the market for customizable payroll solutions is expanding,” some firms are even spinning off entire practices just to meet client payroll-related needs. What the article fails to mention is that accounting firms that limit their offerings to payroll alone, leave money on the table and the door open to a savvier competitor who’s also providing clients with business management systems. Really…leaving money on the table? Yes, by thinking small. Think BIG picture instead. Are you just accountants, running numbers, filing taxes, doing audits? Or are you (as an increasing number of firms are) consultants, advising clients on how to run and grow their businesses faster, smarter, and cost-efficiently. If you’re the latter, then you know that managing client payrolls yourself, or recommending an outsourced provider or software solution alone doesn’t cut it. When you know your clients are already stretched in the day-to-day management of their businesses, when they are busy selling, bidding, executing, managing people and projects, invoicing, and collecting again and again and again…setting them up with a payroll solution is like giving them a paper umbrella to face a tsunami. It’s a band-aid solution to a more serious problem — business mismanagement. Discussing how to help clients, who issue paper checks to pay employees and vendors, type invoices, lick stamps, and run operations on Post-its, scraps of paper or spreadsheets, requires a longer conversation. Cutting to the chase, there are plenty of excellent accounting packages you can introduce them to, so shame on you if you haven’t done so already. But let’s say you have introduced them to QuickBooks or some equivalent bookkeeping solution, why stop there? Accountants who teach clients to really manage their businesses improve their own client retention. Switching a business owner from spreadsheets to an accounting package is just the beginning. Increasingly, accounting firms are looking to help, for example, their building trades clients (really, all clients) move beyond conventional payroll or other business accounting software to equally affordable, easy-to-use, cloud-based or desktop systems to manage most of their typical (and repeating) business management processes. This is a win/win for all parties. Client businesses run more smoothly. And you spend less time sorting through bags of receipts, or stacks of timecards and more time advising clients on best practices/management strategies. Show them you care. As you did long ago with accounting software, show them how to replace the spreadsheet and whiteboard with something better. Expose them to the right tools. Help them see that they can efficiently and cost-effectively, and profitably manage and grow their businesses from any smart device — whether they are in the office or in the field. Be that advisor. Knowify, for one, can help you help them. We’re already doing it. 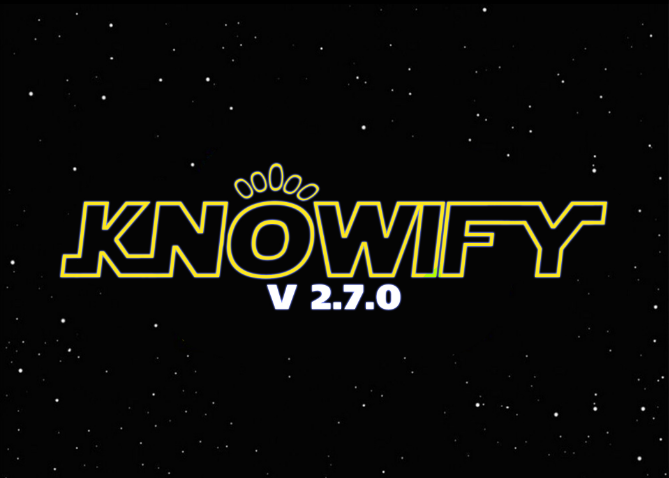 If you have any questions or wish to share your feedback, you can find us at support@knowify.com. Ask us about how we’ve helped accountants like you help their clients get a better handle on their business . Or…you can let them keep running their businesses on spreadsheets.